Crafts : This decoration technique is the last web single and has given fabulous results! This decoration technique is the last web single and has given fabulous results! If you like flowers, it's for you! You love flowers and would like to put them everywhere? You’re not alone if you believe this new trend on Pinterest and elsewhere on the Web: decorative projects that involve flowers and plaster of paris! 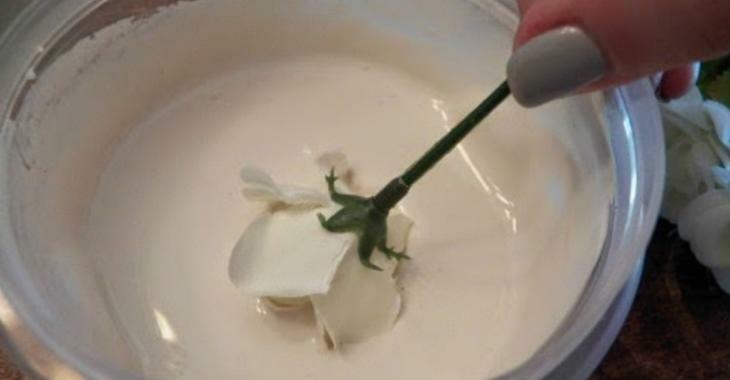 The basic principle is to plunge artificial flowers into liquid plaster: when dry, the flowers almost take on the appearance of sculptures!